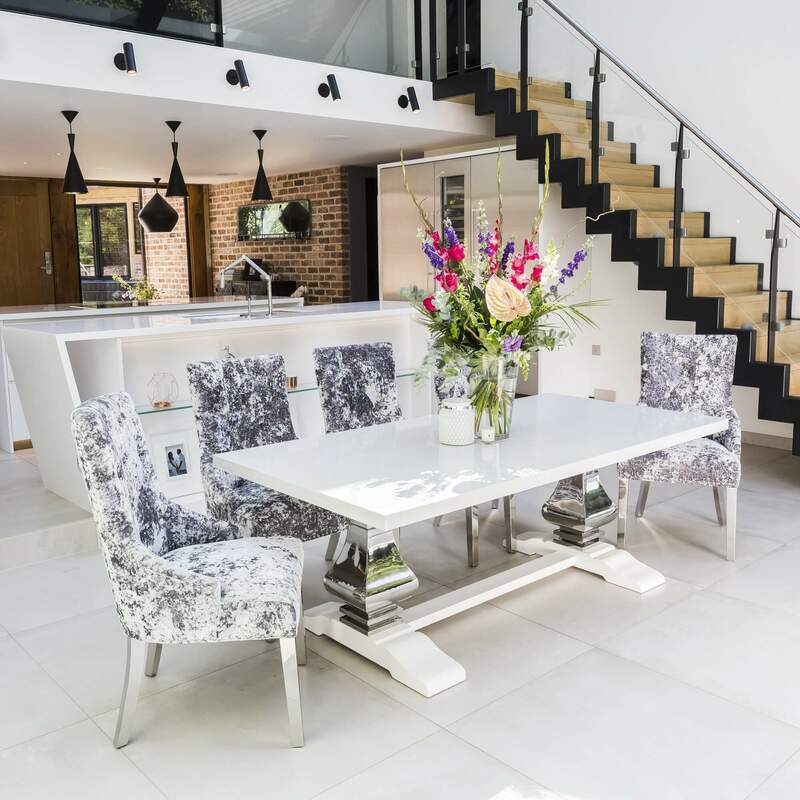 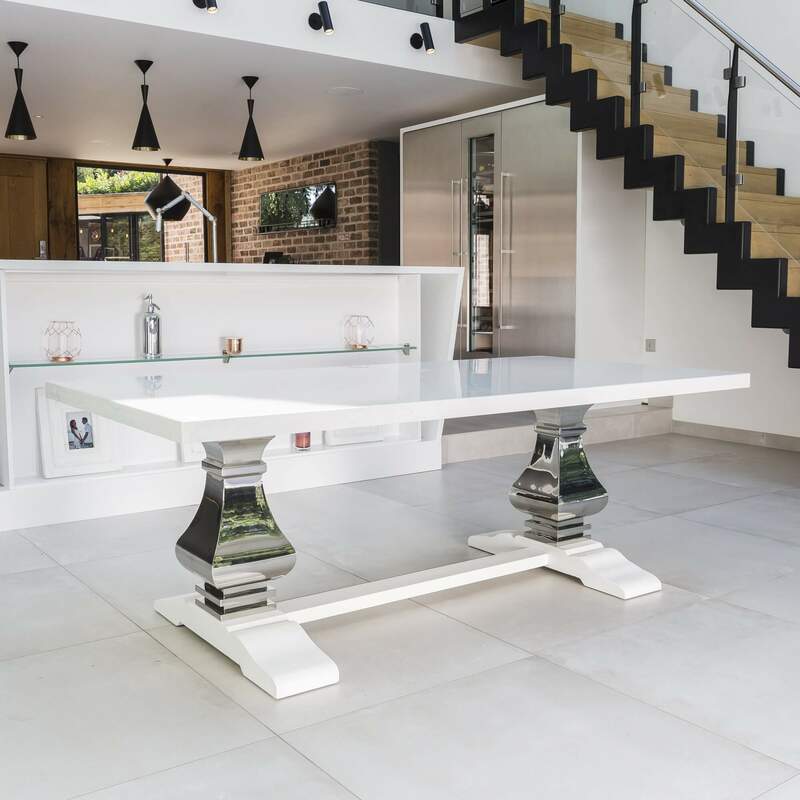 This contemporary dining table has a white granite top and sits above two chrome pedestals which sit above a solid Elm base. 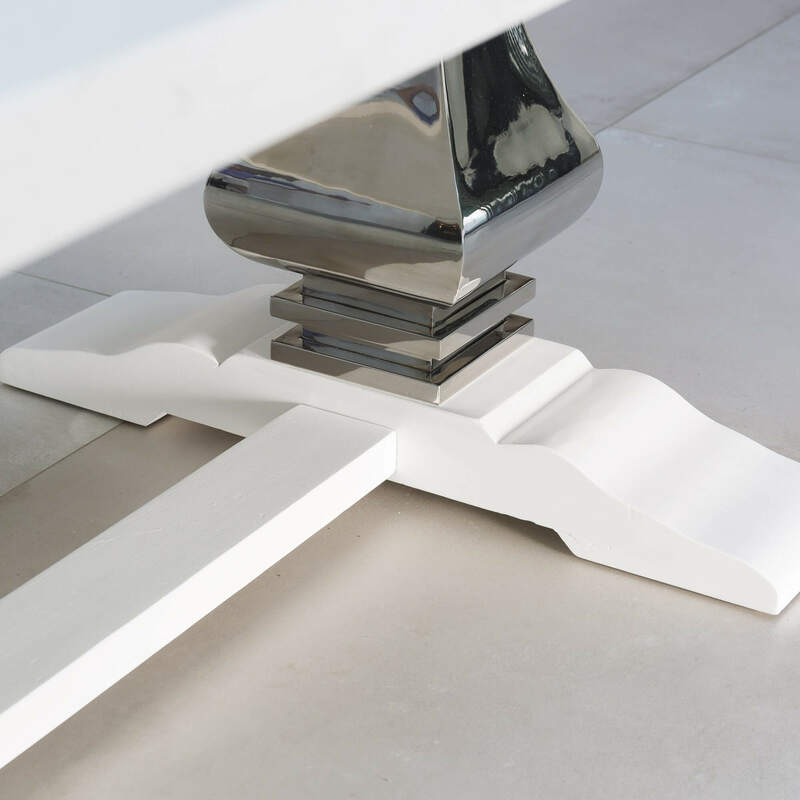 The table is finished in a white paint finish. 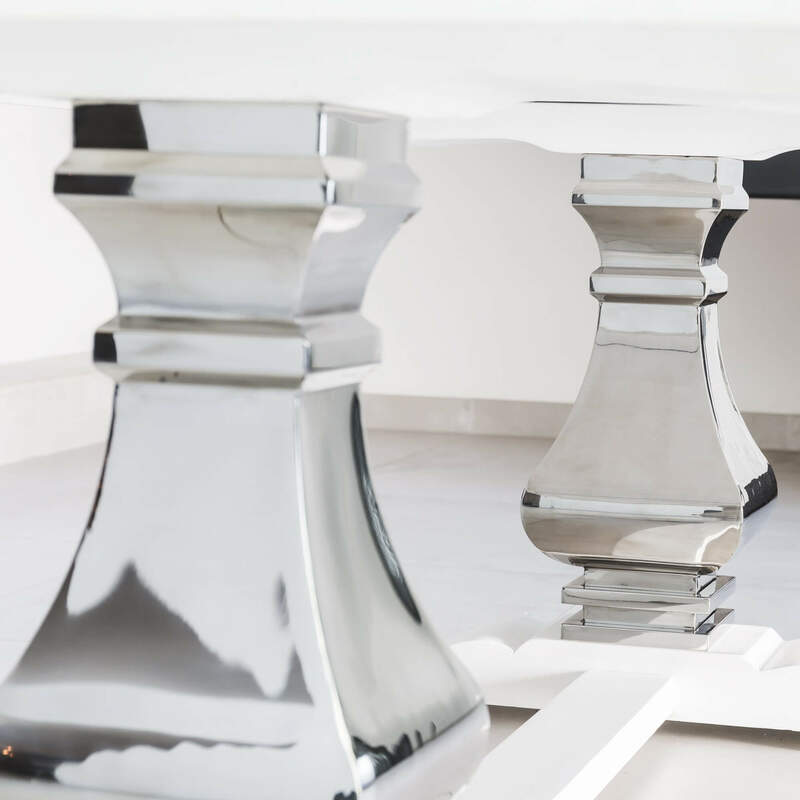 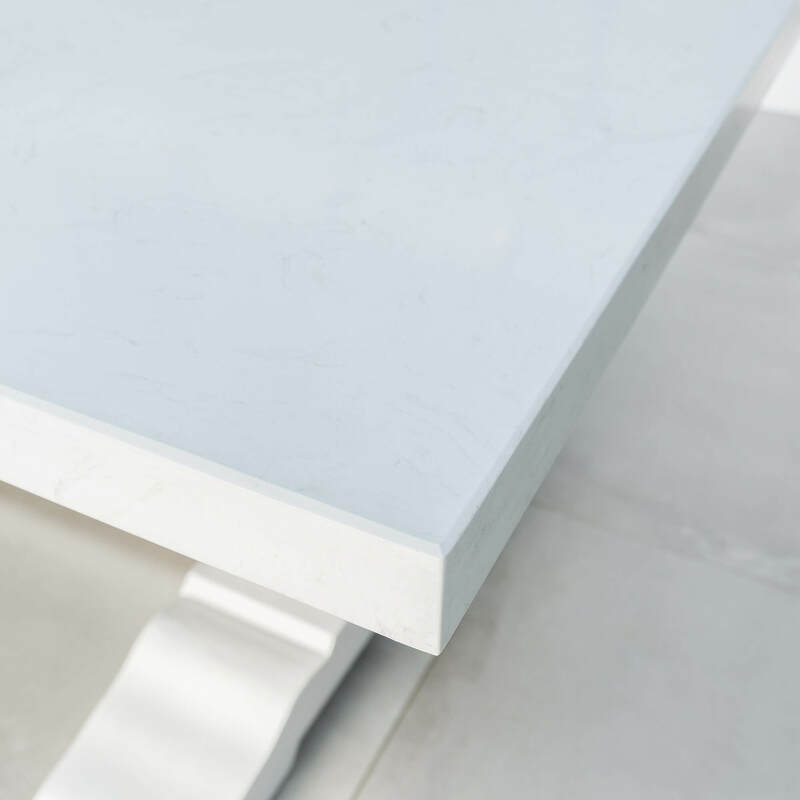 This 2M white composite marble dining table will seat eight very comfortable and ten at a push.